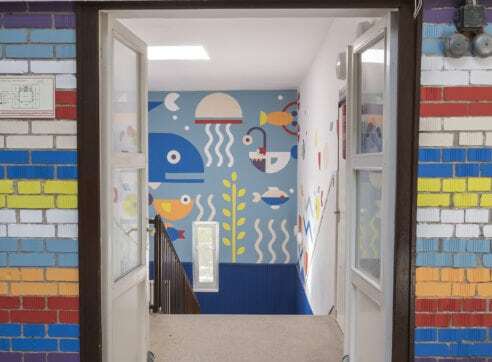 The biggest and most popular school in Salgótarjáni was not painted for 50 years until a group of teachers and parents decided to use colors and change things. They have paired Dulux colors and color psychology in order to make this environment more beautiful for people's eyes, minds and emotions. 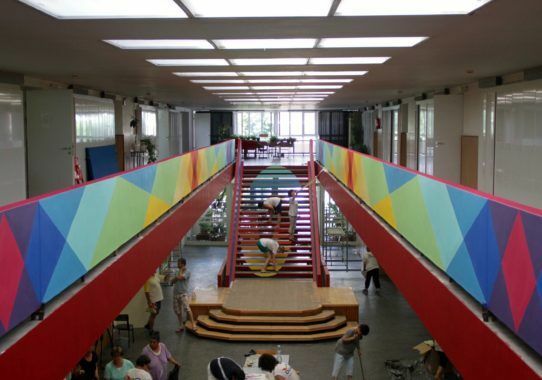 The biggest and most popular school in Salgótarjáni was not painted for 50 years until a group of teachers and parents decided to use colors and change things. They have paired Dulux colors and color psychology in order to make this environment more beautiful for people’s eyes, minds and emotions. 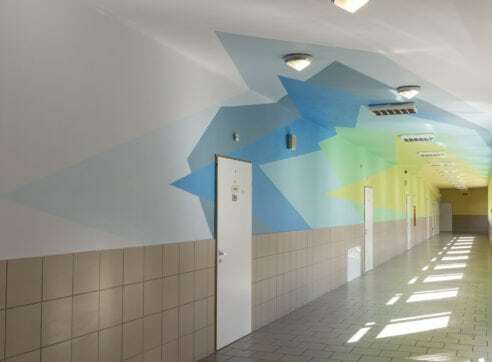 A devoted group of teachers and parents who actively work for this school and the city have partnered up and successfully organized this project where the main hall and the staircases were colored with Dulux colors. Some studies say that we can feel colors. Inspired by color psychology, participants in this action have used colors very wisely. Motivated by some of our Let’s Colour experiments, volunteers managed to merge colors and emotions and create a new and inspiring school surrounding. According to color psychology, blue creates feelings of peace, security, loyalty and trust. But, if used all alone, blue could make students and teachers feel cold. Knowing this, participants included some other colors in their story – yellow to bring the sense of warmth and happiness, orange to encourage confidence and red to emphasize the love and positive energy students and teachers feel when they are at the school. 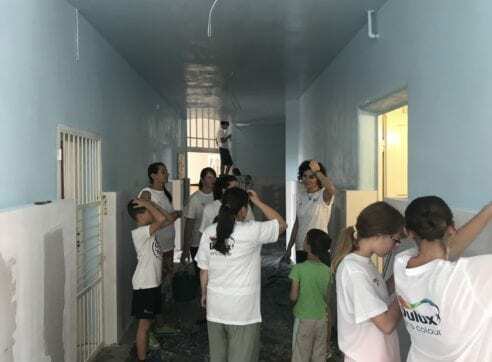 Around 150 volunteers met for the painting event. 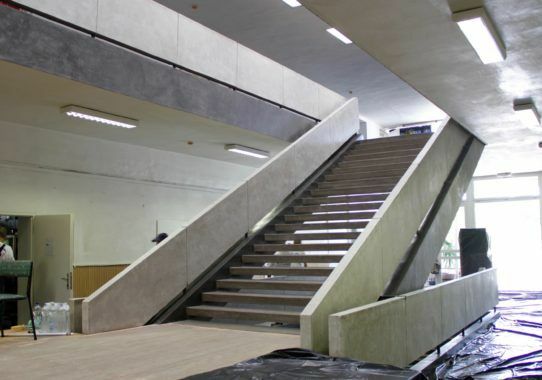 The hall and staircases were painted in bright colors, using Dulux Trade and EasyCare products for the perfect result. All the volunteers were enthusiastic and by working hard they managed to finish the entire painting in a single day! Today, children and teachers enjoy the new environment. They love to share experiences as they walk up the new main hall or climb the colorful stairs every day. Do you believe that colors can be so associated with emotions?  Look at some Let’s Colour surprising paint stories before you give your answer!